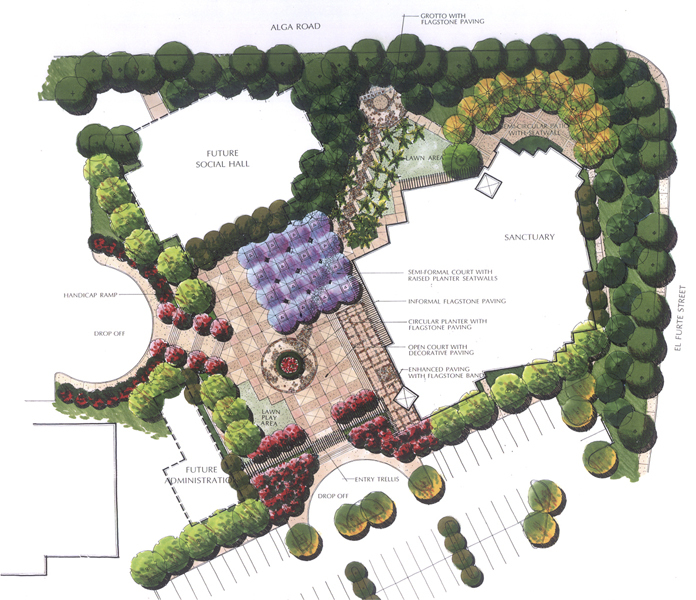 SOLANA BEACH (Feb. 16, 2011) – Plans for an updated preschool at Solana Beach Presbyterian Church will serve as many as 40 more children in the community and include an expanded new outdoor play area, according to church architects domusstudio architecture. 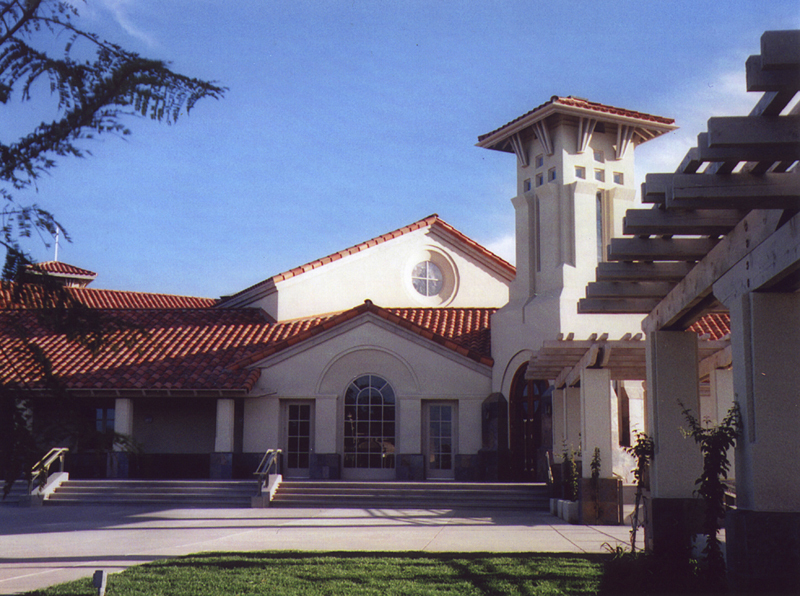 The new preschool will occupy the lower level of a 25,000-square-foot office building owned by the church and neighboring the church campus at Stevens Avenue and San Rodolfo Drive. 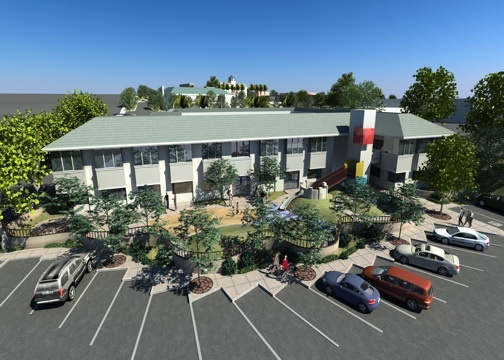 Pending conditional use permit approval from the City of Solana Beach and the Coastal Commission, tenant improvements on the building could begin as soon as fall 2011 and be completed in early 2012. Last month the church notified its neighbors of the plans and invited all to attend an open house viewing of the plans with the architects. The community response was very positive, and the plans continue to be available for viewing at City Hall. 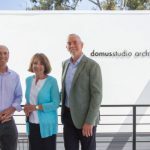 The master plan for the church, including the updated preschool, is designed by domusstudio architecture, founded in 1986 as Dominy + Associates Architects. 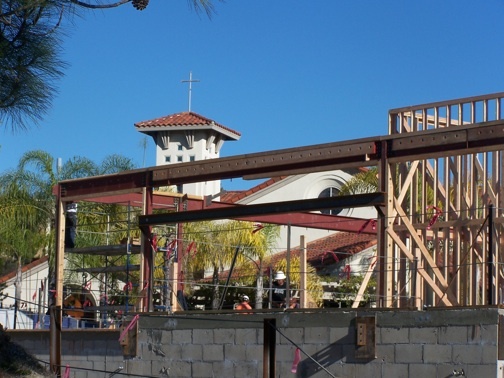 CARLSBAD (Feb. 10, 2011) – Steel framing is now under way and the topping slab has been poured for a new two-story Parish Center at St. Elizabeth Seton Catholic Church in Carlsbad. Designed by church architecture specialists domusstudio architecture, the 18,443-square-foot building is expected to be completed in July. Since groundbreaking in June, site work has been ongoing, including excavation and retaining wall construction. The project continues on schedule with framing of interior walls and exterior walls expected to start in the next few weeks. 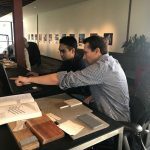 Refining and finalizing interior design finishes also continues. CW Driver is the general contractor and the project is managed by Kruse Development Services, Inc. on behalf of the Diocese of San Diego. Wayne Holtan, AIA, is the partner in charge of the project designed by domusstudio architecture. 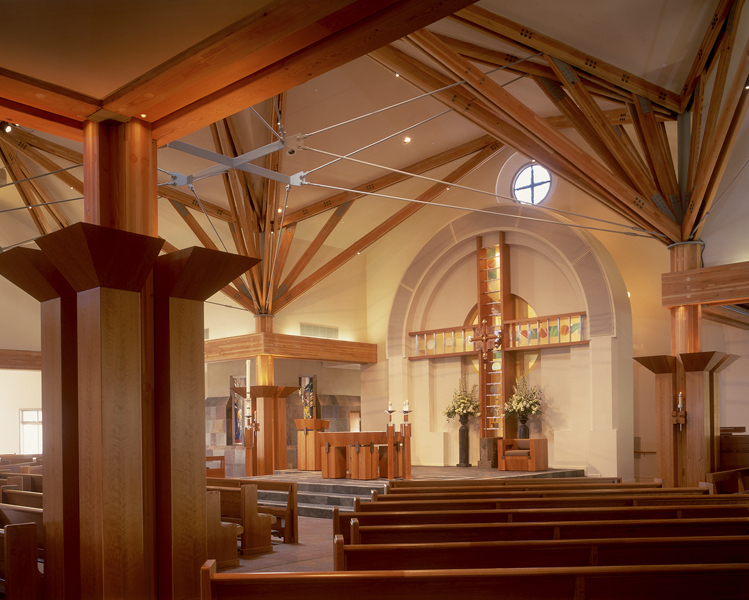 Designed in a contemporary mission style to complement the domusstudio-designed Sanctuary, the two-story Parish Center features similar window shapes and sizes, colonnades, roof design and trellis work. The new building is located just north of the Sanctuary’s existing courtyard and will include a 735-square-foot recreation room for the church’s youth group. 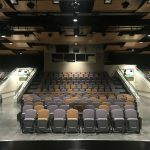 The lower level will have a conference room, five classroom/meeting rooms, a catering lounge, entry foyer and elevator access to the second floor. 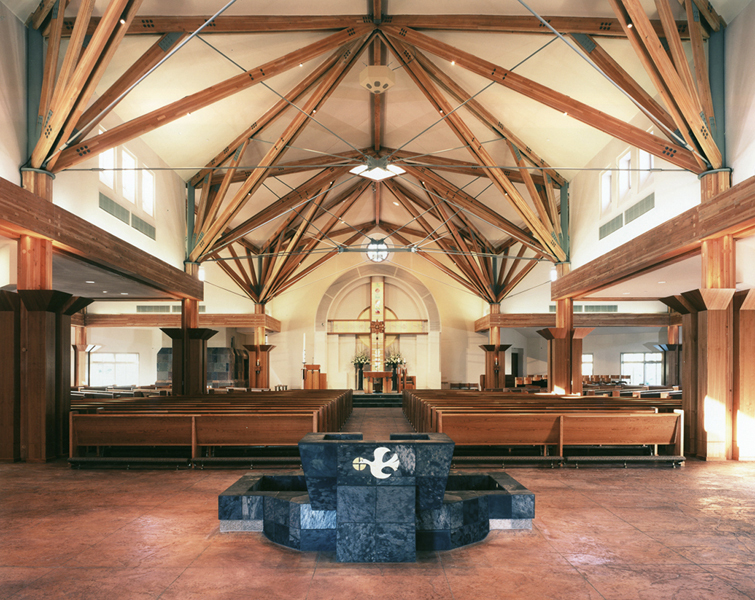 The second story of St. Elizabeth Seton’s Parish Center will include: a large foyer with lounge seating area and fireplace for pre-function activities, as well as a 4,630-square-foot social hall. With high volume wood beamed ceilings, the social hall will have the flexibility to serve as a conference facility featuring dual large format presentation screens and advanced audio-visual features, or the ability to transform into a social event setting with dance floor, stage and dinner seating for over 300. 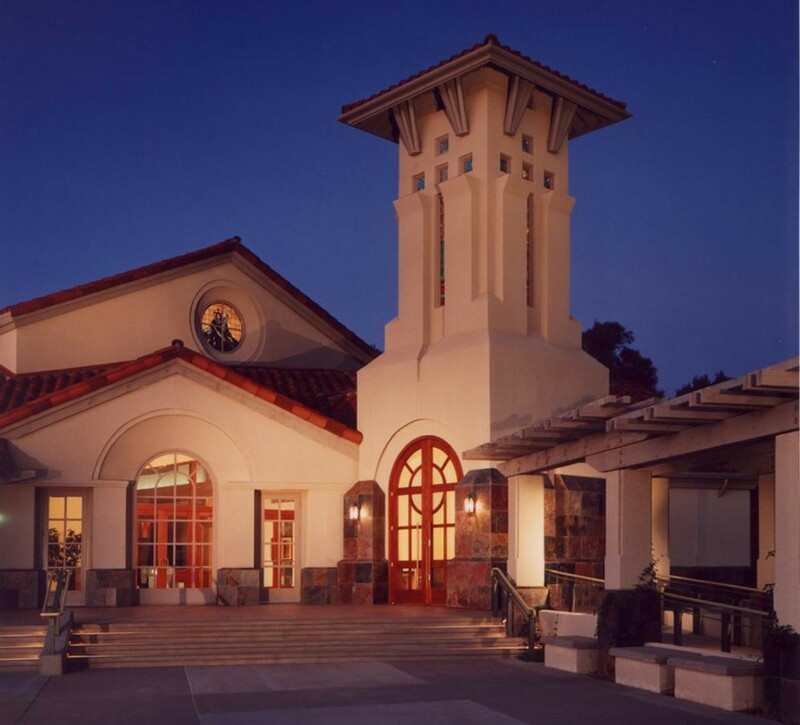 Overlooking the campus outdoor plaza, the social hall is served by a commercial grade kitchen and buffet serving area and has ready access to a covered patio for overflow seating and gatherings. 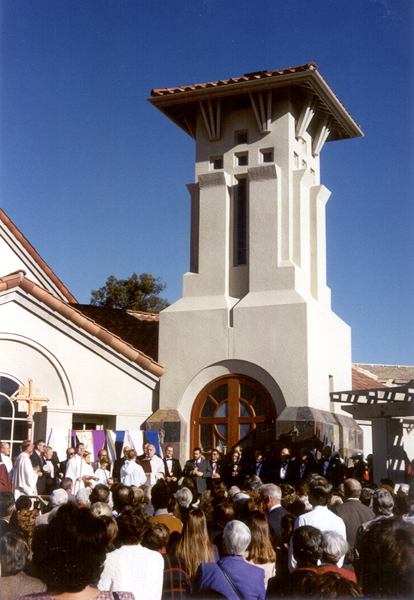 The Sanctuary designed by domusstudio architecture earned three Orchids and the prestigious Grand Orchid award from the San Diego Architectural Foundation in 1997 and a citation from the San Diego chapter of the American Institute of Architects that same year.